Let It Be was written by Paul McCartney in 1968 but is credited to Lennon/McCartney. 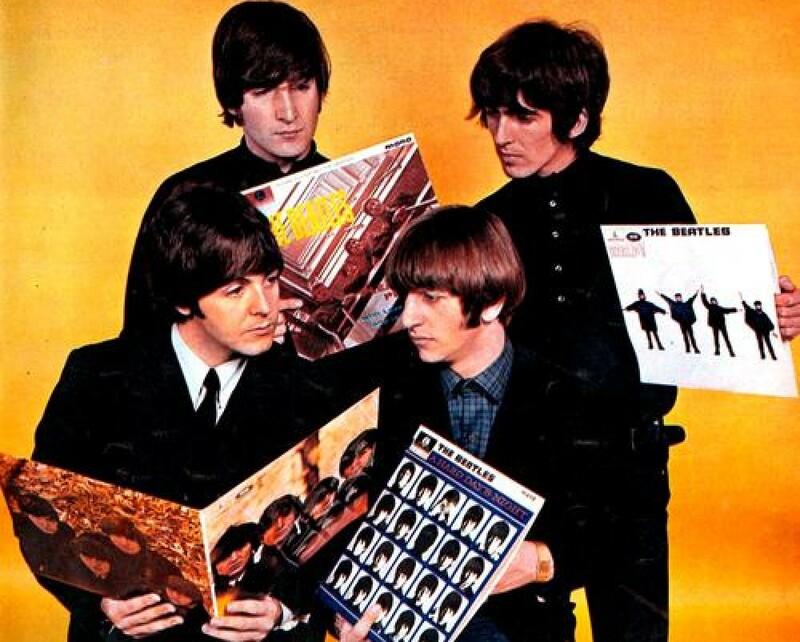 The song was first recorded by The Beatles in 1969. Rehearsals of the song were recorded at Twickenham Film Studios and Apple Studios in London during the Let It Be album sessions. Take 1 of the song was released in 1996 on the album Anthology 3. A remix of take 27A and 27B was released in 2003 on the album Let It Be…Naked. A version of the song was featured in the 1970 movie Let It Be. Let It Be was first released as a single in 1970. The B-side was You Know My Name (Look Up The Number). The single version of Let It Be was recorded at EMI Studios in 1969 and was produced by George Martin. George Martin and Paul McCartney overdubbed orchestration and backing vocals to the track in 1970. The recording features backing vocals by Linda McCartney and Billy Preston on Hammond organ. The single reached number two on the UK Singles chart and number one on the Billboard Chart. A remixed version of the song was produced by Phil Spector and was released on The Beatles’ 1970 album Let It Be. The song was part of Billy Preston’s repertoire. A live version was released on his 1974 album Live European Tour. Paul McCartney recorded the song as part of Ferry Aid in 1987. The Ferry Aid line-up included Boy George, Kate Bush, and Edwin Starr among others. That version was released as a charity single with Let It Be (The Gospel Jam Mix) on the B-side. It reached number one on the UK singles chart. The song is part of Paul McCartney’s repertoire. He performed the song live at the Live Aid concert in 1985. He was joined on stage by David Bowie, Bob Geldof, Alison Moyet and Pete Townshend. That version was released in 2018 on the compilation album Live Aid (Live, 13th July 1985). Paul McCartney, George Harrison and Ringo Starr performed the song live at the Linda McCartney memorial service in London in 1998. Paul McCartney has also performed the song live with Billy Joel at Shea Stadium in 2008. That version was released on the Billy Joel’s album Live At Shea Stadium, released in 2011. Other live versions have been released on Tripping The Live Fantastic (1990) Back In The U.S. (2002), Back In The World (2003), and Good Evening New York City (2009). Let It Be has also been recorded by Aretha Franklin, Ike and Tina Turner, Nicky Thomas and Joan Baez among others. This entry was posted in Beatles and tagged Billy Joel, Billy Preston, David Bowie, Ferry Aid, George Harrison, George Martin, Let It Be, Linda McCartney, Paul McCartney, Pete Townshend, Ringo Starr, The Beatles by dannyfriar. Bookmark the permalink.